Air Financial Partners (AirFP) offers its clients three business models whereby we tailor your tax practice. 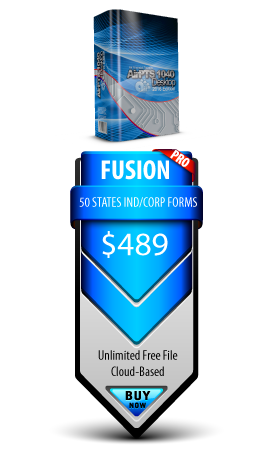 They each include professional tax prep software that includes both the desktop and an on-line component so you may have the freedom to start a return at your office and complete it on your tablet or mobile device anywhere in the world. This also opens up the possibility of expanding your work team outside of your state in areas you cannot physically reach without the aid of such a team. The “FP” business model is short for financial partner. We take any current or would-be tax professional supply them with software technology, marketing know-how, and business services so they can in turn reap the rewards of a smooth and lucrative tax season. Then there is the referral option that allows you to send AirFP preliminary data from your tax clients and we will then compile their tax returns and reward you for your referral. So, choose the style that best fits you. No matter which tax business model you choose, Air Financial Partners (AirFP) will introduce you to fee-based tax prep revenue in this changing industry. Regardless of the business model you choose, Air Financial Partners (AirFP) offers a variety of refund products so your customers can get their refund quickly and securely. Refund products ensure that you get your tax preparation fees up front and offer your customers a broad range of options. Despite the rapid changes in the tax industry, Air Financial Partners (AirFP) has stable relationships with leading industry banks so you can be confident you will have a full range of refund products on the very first day of tax season. Electronic Refund Check (ERC): Electronic Refund Checks or ERCs are a quick alternative for tax payers that do not want a RAL. Approximately 10-14 days after the return is accepted, the IRS will direct deposit the tax preparer refund with the bank. Then the bank deducts any tax preparation fees and deposits them directly into your bank account. Refund checks, less fees, print in your tax office for the tax payer to pick up. Electronic Refund Deposit (ERD): Electronic Refund Deposits or ERDs are similar to ERCs. With an ERD, the federal refund, less fees, is deposited into the tax payer’s bank account via ACH. Tax preparation fees are automatically deducted from the refund and deposited directly into your bank account. With an ERD, the customer doesn’t have to make a return trip to your office. State ERC or ERD: State ERCs and ERDs are available in all states with electronic filing and only in conjunction with a Federal bank product. State ERCs and ERDs work exactly like a standard ERC or ERD. Tax preparation fees are automatically deducted from the refund and deposited directly into your bank account. Tax payers will receive their refunds by the same method chosen for the Federal product. Audit Shield: Audit Shield is an extended warranty program for tax returns. The service reimburses the taxpayer for certain penalties, interest or additional taxes up to $2,500 on a qualifying return for up to 3 years. Audit Shield keeps you competitive with the national tax prep chains and, since you receive an incentive for each Audit Shield product you sell, it will increase your revenue. We partner with tax industry banks that offer settlement products allowing you to secure your fees. TPG offers quality financial products to the e-file industry that satisfy consumers’ needs, are priced fairly and provide true value. TPG is investing in relationships by providing tax pros with a program to help retain and grow business for years to come. Republic Bank will provide advance payment of 50% of your tax preparation fees on all acknowledged returns with a Refund Transfer at the beginning of filing season to help you make ends meet until IRS funding begins. Refund Advantage Tax Refund Services was built with you- the independent ERO, in mind. Our goal is to help you remain competitive by giving you the tools, options and solutions you need to diversify your business and compete with the national chains. AirFP Proudly uses TeamViewer. To start remote session please use link below. Install app and give our Partner ID and Password.